The Legend Sintra is a gas fire that beautifully combines the sleekness of modern interior design with the warmth of old-world tradition. Available in a bold Piano Black only, this is an appliance that is sure to complement the existing décor of any room and any home. Rather than use traditional logs, the Legend Sintra offers the option of a fuel bed containing pebbles or coals, which adds a more contemporary look and feel to this gas fire. 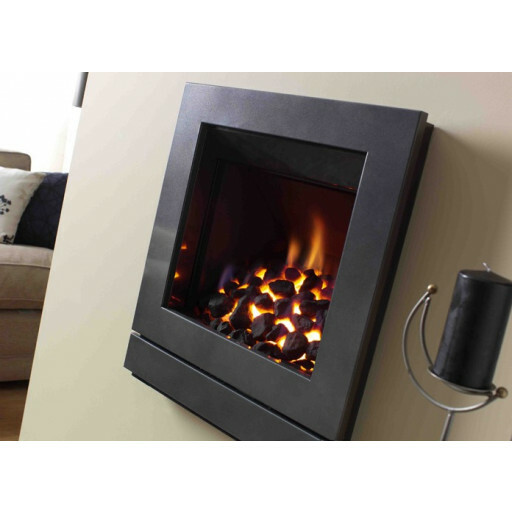 Unlike a traditional living flame gas fire that requires the installation of a hearth which is located at floor level, the Legend Sintra uses a more attractive eye-level, hole-in-the wall design that immediately becomes the focal point of any room. We were looking for a hole in the wall fire on a budget,this tick all the boxes,super little fire and looks great. We were looking to replace our fireplace in our new house as it was taking up a lot of space so we were really pleased when we saw this fire and even happier when we saw the price. Being on a tight budget I wasn't expecting to get such an amazing output from my fire. It is more than enough heat for an amazing price. Really happy with my little fire, Gives good heat out and looks the business. We were looking for a hole in the wall fire with a good output and a good price,got exactly that with the Legend Sintra. Beltin little fire. Throws out a lot of heat. Recently decorated our living room and this fire is the cherry on top. Fantastic heat and really freed up a lot of space as we had our old (inherited) fireplace removed.